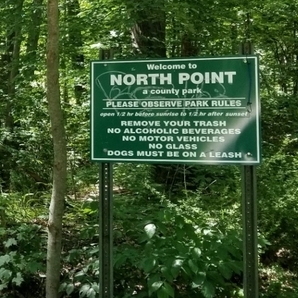 Did you ever take a walk in the woods and discover that you somehow felt better afterwards? More calm and peaceful, more centered, maybe even with a clearer mind? The Japanese have explored this intangible feeling. They did a scientific study and came up with a new term to describe this phenomena, shinrin-yoku which means “forest bathing”--a short leisurely trip to the forest. 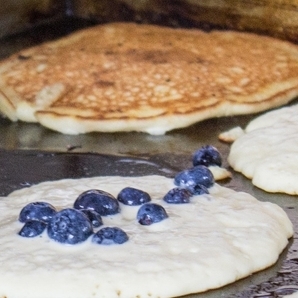 This year will be the South Haven Blueberry Festival’s 55th year, making it one of the oldest fruit festivals in the country. The weekend is packed with events, activities and, of course, plenty of mouthwatering blueberries from this year’s harvest. Use our guide to find out more about things to do at the festival for all ages. Why is the heart so fond of sunset? The setting sun attracts us because it is one of nature’s most beautiful and expressive displays. The transition from day to night has always inspired artists to capture what it moves within them. 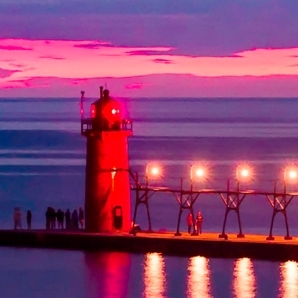 A South Haven sunset attracts both locals and visitors to pause and gaze across the water. What makes a great sunset? A beautiful sunset is enhanced by certain details. For example, when you’re on or around South Haven’s beaches, watch for a setting sun in a sky with clouds close by—they can reflect the sun’s rays with splendor. Another factor is color layers that join water and sky. Look for dark blues, deep oranges, mixed reds, soft pinks and shades of violet.